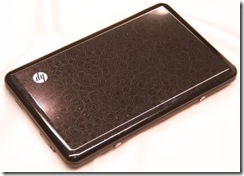 There is now a steady flow of netbook class devices coming through from many suppliers (HP, Toshiba, Samsung et al), with the new HP Mini 1000 being HP’s second generation device correcting the major problems with their first generation (using the C7 processor rather than the Intel Atom, using XP instead of Vista Basic).Notebook.com (via Digital Home Thoughts) have a review of this latest unit, and a fair review it is although it makes what seems to be a throwaway comment about netbooks not being ready for business use. This is something I cannot agree with. The main driver of this seems to be a belief about build quality being poor or ‘soft’ compared to the business market’s requirements. Now I have been using laptops since before they were even that (having made use of the Toshiba and Compaq machines since before they were even called laptops, and were called transportables), and have come across all manner of machines, but I have not noticed anything deficient in the build quality/robustness of the netbooks I have used (admittedly Asus and MSI only), and would certainly not warn the business user off of these devices. In many respects they are the ideal business machines as they focus on basic functionality, portability and not high performance games and video handling. This is pretty much what all businesses want of laptops. In fact, the performance capability that modern netbooks offers generally exceeds the capabilities of most standard build laptops in mainstream business, simply because these machines are specifications that have lasted three years or more for standardisation purposes, which generally means circa 2002-2004 hardware builds. Certainly it is also true that machines since 2004 have also only grown in capability via more RAM and Hard Disk space. Netbooks also offer business features without the gloss of high speed graphics that can be used for fanciful needs, combined with a level of standardisation we have not seen in a long while (most netbooks are the same processor, RAM, motherboard and graphics chipset configuration as each other now the C7s and so on are dropping out), and also making use of the OS of choice for the modern business – Windows XP (although upgrades to XP Professional may be needed for the more corporate business user). On top of this netbooks offer another advantage – the basic hardware is extremely low cost. Not much of an advantage when the support costs of a user can be upwards of €600 per year, but a slight advantage in these challenging times is important. So, when are we going to see a mass adoption by a major company of a Corporate Netbook? Or is this something that Microsoft wants to fight against, simply because that would mean underlining the Vista Failure? Certainly the software licensing agreements for ‘netbooks’ as I have seen outlined, do seem to be against the concept of a business netbook.